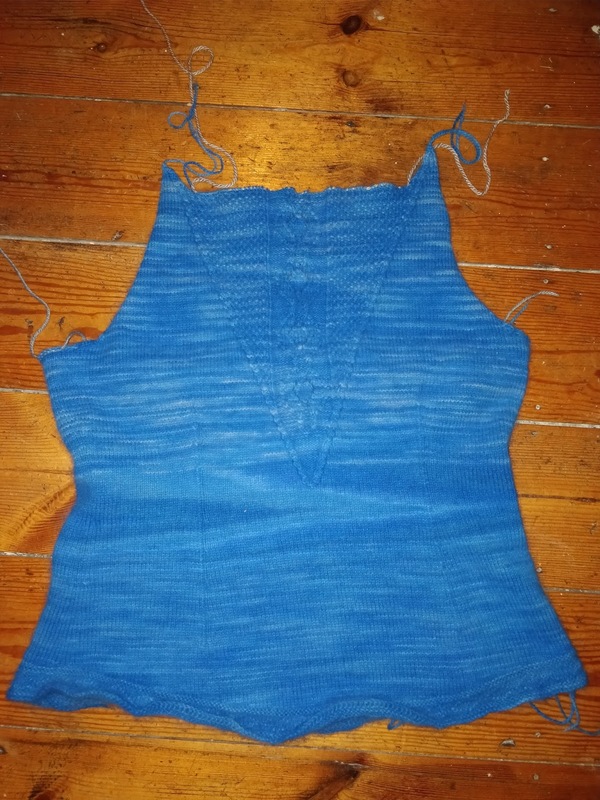 Slightly horrified to realise I've now been knitting this since March, but this weekend I have made some good progress with it and have finished the front. I have been putting this off because the sleeves are large, bell-like affairs and the thought of it just left me cold; but then I reflected that they don't have a pattern past the first part of the cuff, so they will at least be quite straightforward to knit when I get there, even if I am doing them two at a time, in the round, alternating from two skeins, or some such craziness. I tried it one and I think it will be long enough, although it is difficult to tell until the back has been finished and the two sides joined. 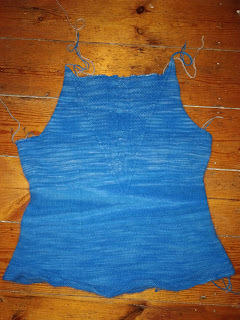 I think I will probably do that and knit the neckband before I move on to the sleeves. It's a lovely fit on the body.